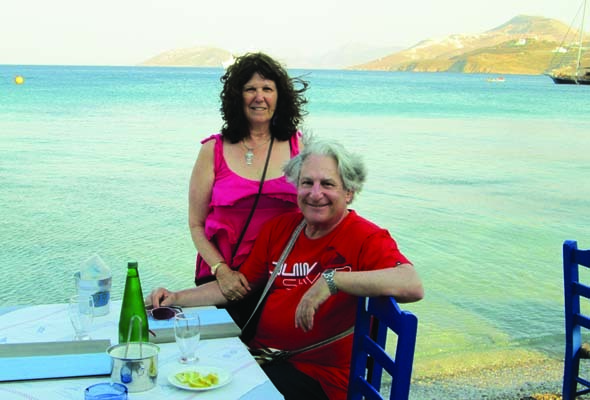 Barbara Moser and Irwin Block in Leros, Greece, in 2012. After some 50 years of working for and contributing to major media in Canada, Thailand, and elsewhere, in 2012 I left The Gazette and joined the staff of The Senior Times. On paper, and to some, it may have appeared like a retreat, but in fact it has turned out to be one of the most rewarding jobs I’ve had in journalism. A reporter can rarely pick and choose to cover only what he wants, but in writing profiles and reporting on political, health, and cultural subjects at The Senior Times, I am almost always enthusiastic and engaged with the subject at hand. And as every reporter knows, you are more likely to be at your best when you feel connected to your story. Happily, editor Barbara Moser, who is also my life partner, shares my choices of interesting and compelling personalities to profile and issues to cover. Luckily, our editorials reflect our shared views on world events and political affairs. Barbara is a tough and demanding editor with a great eye for style and insistent that all possible questions be answered. Having her vet every piece I write has made for a much-improved final product. With her layout and artistic skills, added to her huge heart, it is a great feeling to have my stories a part of the package. Yes, I have taken my interests and projected them into the people I profile and the subjects I tackle. Having grown up and received my education here, and worked in Quebec for The Sherbrooke Record, Montreal Star, The Gazette, Canadian Press, UPI and CBC, I have met many people personally and professionally and take pleasure in publicizing their work, including those I have come to know in the past few years. They include musicians, writers, aspiring politicians, and those new to power who deserve broader recognition. When I read a book and am impressed or moved by it, The Senior Times is my venue to communicate my thoughts. When a politician or community leader fails to meet commitments or expectations, we reflect what we see as community values and ethics in our editorials. When we visit a country, finding value, interest, and pleasure in our adventures and discoveries, we are happy to write about it. Always on the lookout for material, we started attending the Opéra de Montréal and writing previews about its productions, deserving of patronage and enthusiasm. It has been a privilege to interview people we admire, from former Liberal MP Irwin Cotler to NDP leadership aspirant Brian Topp to Projet Montréal city councilor Alex Norris, and the devoted politician Louise Harel, even though we may disagree with some of her views. Writing for a monthly newspaper that focuses on my own demographic is a new experience, but at this stage of my professional life I cannot think of a better place to be. Here’s to the next 30! It is strange how events happen in a person’s life. Among serious and grave events, I was fortunate to be sponsored in 1938 at 20, to come to Canada from Poland. Had I waited a few more weeks, I would have ended up in Auschwitz-Birkenau concentration camp with many others. We all know what happened to most of them. My own close family perished there, or not far away — parents, only brother, and his wife. appealed to me. I found it very interesting and informative. Again, a special event occurred in my life. Little did I know that the founder of this newspaper, editor and publisher, Barbara Moser, would become my daughter-in-law, the wife of my son, Irwin Block. I feel delighted to hear from her very often that her feelings for me are as a daughter. 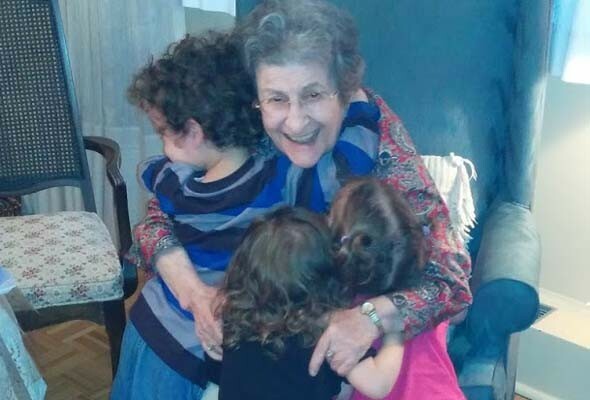 I wish you, Barbara, many more successful years of publishing The Senior Times, enjoyed so much by young and old. 1 Comment on "Irwin Block on one of the most rewarding gigs of his journalistic career"
Keep up the good work, Irwin. You’re just entering your prime. Congratulations to the Senior times and the editor.